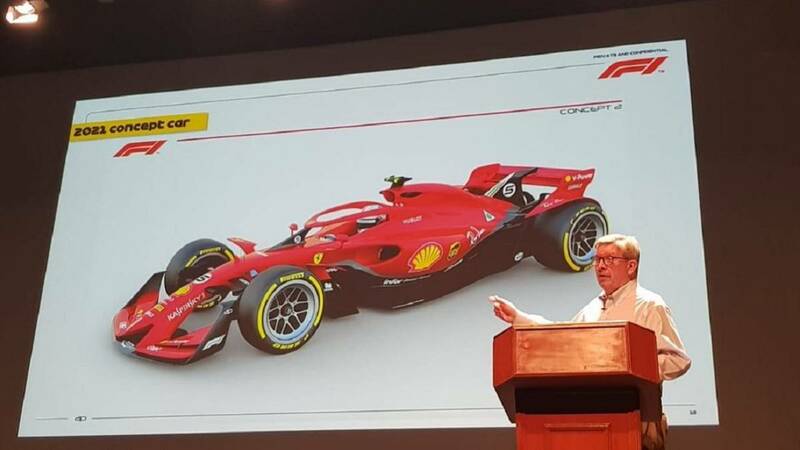 Home F1 "2021 will be the biggest aerodynamic change in history"
"2021 will be the biggest aerodynamic change in history"
Andy Green, technical director of Racing Point, is very optimistic with the direction that F1 will take in two seasons. The 2019 Formula 1 World Championship has not yet started and some teams are already finalizing their installations and resources for the majestic aerodynamic change that Liberty Media intends to promote in the 'Gran Circo' within two seasons. Questioned by this new technical regulation that aims to Adjusting the competition by creating simpler cars that generate more overtaking opportunities, Andy Green ensures that this regulation will be the biggest trade-off ever made in the history of the competition. "In 2021 we will have the biggest change in aerodynamic regulation in history. similar to what happened when the ground effect disappeared I am looking forward to seeing it The changes of 2021 have nothing to do with the changes of 2019. It is something completely different ", says Green. The technical director of Racing Point confirms in ' Autosport 'that there is a great implication for conseg We will take a big step in the right direction and make a big difference in the world of racing: "It's the regulation that has been studied the most. It was not complicated because before nothing had been done. Not everything will be correct but it is a big step in the right direction. I think the cars of 2021 are a totally different concept. I can not wait, it's going to be great. The cars of 2021 I think will make a big difference in the competition and in the world of racing. There is a big step regarding where we are now. "